More than 30 years ago, the Virginia Society of Ornithology partnered with the Virginia Department of Game and Inland Fisheries and a variety of other organizations to conduct one of the most comprehensive wildlife studies in the state’s history. Enlisting the help of hundreds of birding enthusiasts and citizen scientists, the organizations conducted a five-year-long survey monitoring the status and distribution of the state’s breeding bird population. 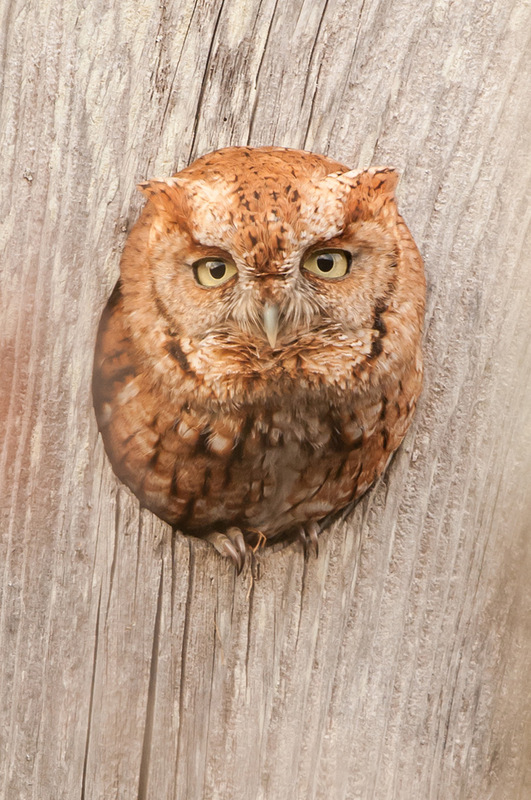 From the Great Dismal Swamp to the D.C. Beltway and the mountains of far Southwest Virginia, volunteers scoured the commonwealth in search of nests, eggs, fledgling chicks and mating pairs from as many as 205 avian species. Now, they are at it again. 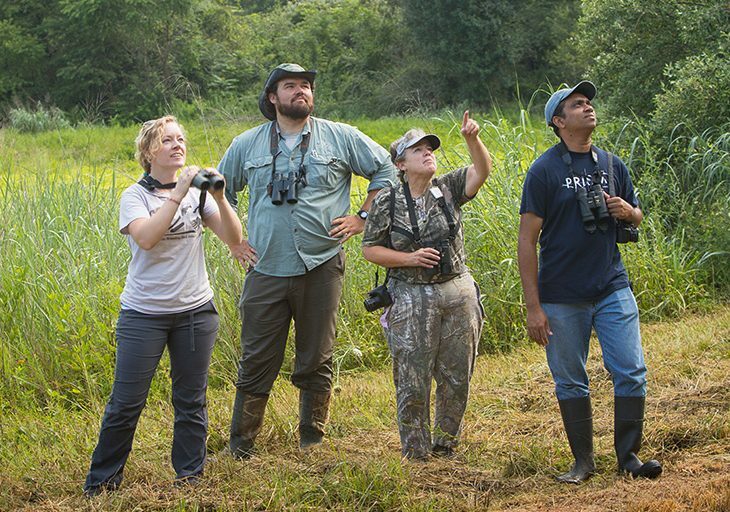 “This spring will mark the beginning of the second Virginia Breeding Bird Atlas’ fourth season,” says avian ecologist and program coordinator Ashley Peele. Presently, it’s the program’s off-season. Peele sits at a computer in her office at the Virginia Tech Conservation Management Institute analyzing field data compiled by nearly 1,000 citizen-science volunteers. 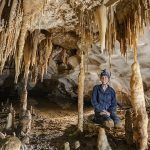 “During the late-fall and winter months, I’ll spend most of my time looking at data and developing strategies for the upcoming spring and summer,” she says. Logging information in an online database curated by the Cornell Lab of Ornithology, ebird.org, volunteers observed more than 684,000 individual birds and 174 breeding species in 2016 alone. 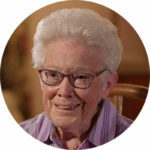 As of this June, there were more than half-a-million entries in what Peele lovingly refers to as her “massively sprawling living data set.” Spanning 42,775 square miles, the entries are organized according to 12 regions. These are, in turn, divided into “blocks” that are about nine square miles each. At this point, Peele is trying to figure out which blocks she needs to convince birders to focus on in 2019. One such area is Southwest Virginia. 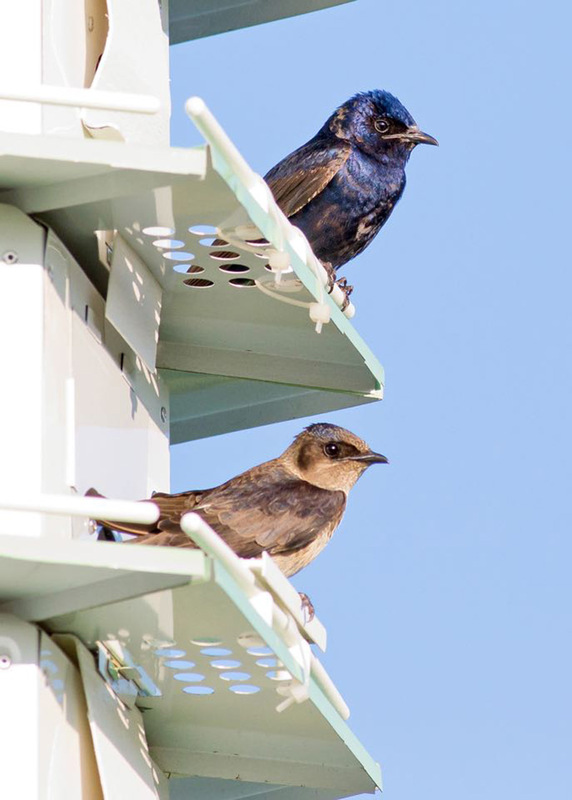 Last spring, Peele went on a whirlwind tour of the region, giving talks and presentations and leading guided bird walks at area clubs, schools and organizations to drum up interest in the program. “The goal is to be as comprehensive as possible,” she says. “The more data we collect, the more we’ll know about the current distribution of breeding birds across the state.” In turn, the information will be used to guide additional species-specific studies and create more targeted — and therefore effective — conservation policies. By comparing current statewide avian populations, breeding status and distribution patterns with information collected during the first study, Peele and her partner organizations will learn more about how migratory and native birds are adapting to changes in the environment that are leading to the rampant decline of many avian species. Virginia isn’t the only state in Appalachia conducting breeding bird atlases. 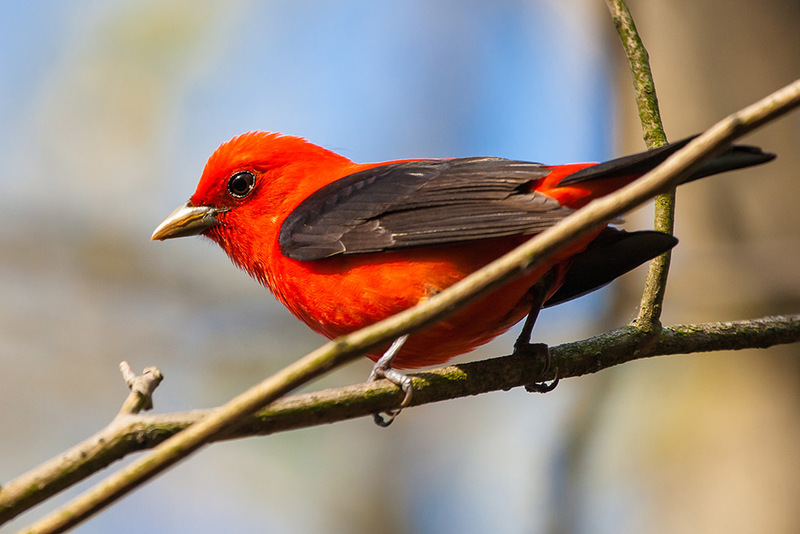 Under the umbrella of the Appalachian Mountains Joint Venture — a primary partner in the current Virginia Bird Breeding Atlas — the citizen science projects are being implemented throughout the region. Most recently, bird breeding atlases were completed in West Virginia in 2015, Pennsylvania in 2008, Washington, D.C., and Maryland in 2006, and Georgia in 2003. “We’re a partnership of more than 45 state and federal agencies, conservation organizations, and universities working to conserve habitat for birds in 12 states in the core of the Appalachians,” explains Appalachian Mountains Joint Venture Coordinator Todd Fearer. The coverage zone encompasses more than 103 million acres and includes portions of Georgia, Kentucky, Tennessee, North and South Carolina, Virginia, West Virginia, Ohio, Maryland, Pennsylvania, New Jersey and New York. As a self-directed partnership, Fearer says the strength of the joint venture lies in its “ability to strategically deliver conservation actions at a scale and scope unachievable by any single agency or organization.” By compiling and sharing data collected from breeding bird atlases and other studies, Appalachian Mountains Joint Venture works with state and national agencies, as well as private landowners, to recommend, design and implement avian conservation measures. “Breeding bird atlases work by answering four essential questions for each species,” says Sergio Harding. “What is its current breeding distribution, estimated population size, and where is it most and least abundant?” Once compiled, the statistics can be used to draw conclusions — or, in many cases, suggest better questions — about diversity, territoriality and reactions to habitat loss, reforestation and existing conservation policies. What’s more, because the data for the Virginia Bird Breeding Atlas and other atlases is stored in Cornell University’s digital databases, they can be accessed by anyone with an internet connection. This makes them a treasure trove for budding ornithologists. “We’re already seeing a wave of graduate students digging into our information and fashioning studies targeted at specific species or conservation issues,” says Ashley Peele. Fringe benefits aside, Fearer says the big-picture goal is to steer large-scale avian conservation management strategy. According to Harding, the strength of studies like the Virginia Bird Breeding Atlas derives from a combination of breadth and specificity. 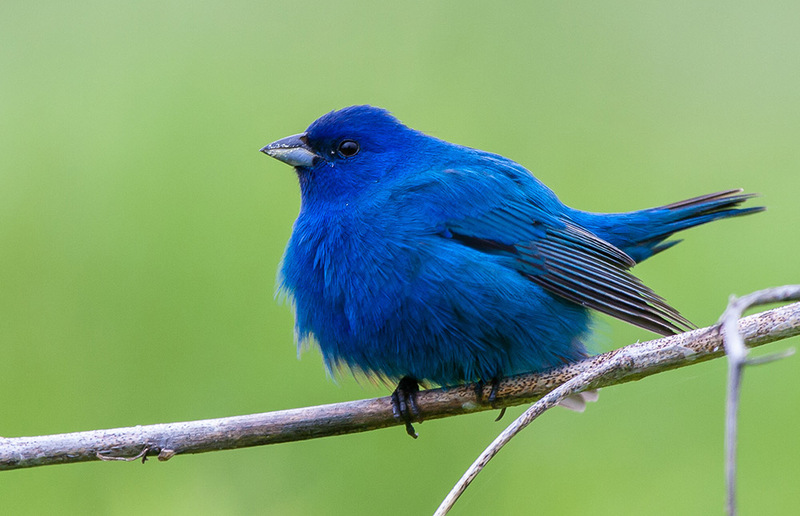 On one hand, long-term monitoring projects like the North American Breeding Bird Survey provide excellent data about population trends and can tell scientists whether a given species is increasing, stable or declining. 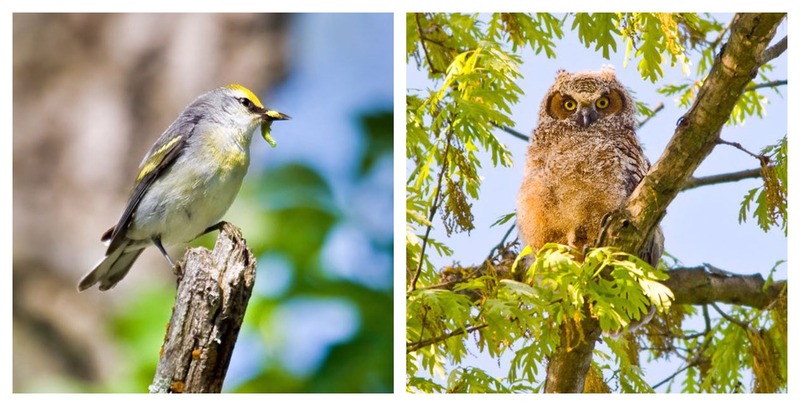 While surveying for the Virginia Bird Breeding Atlas, volunteer Bob Schamerhorn photographed this Brewster’s warbler, left, in Highland County and great horned owl chick, right, in Richmond. View more of his work at iphotobirds.com. Harding plans to use the information to recommend updates for the Virginia Wildlife Action Plan. 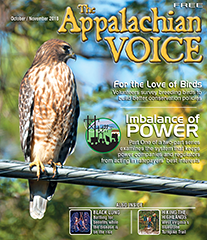 The Appalachian Mountains Joint Venture is putting bird atlas data to use as well. One of its most specific and wide-reaching efforts is the flagship Cerulean Warbler Appalachian Forestland Enhancement Project. “Cerulean warblers are one of our partnership’s highest priority species,” says Fearer. Since the first atlas studies were conducted in 1966, the small, blue warbler’s population has suffered a decline of more than 70 percent. 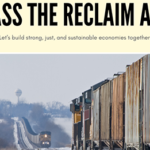 Problematically, about 75 percent of their range occurs on private lands. “We needed to work with landowners to affect sustainable forestry practices, thereby improving habitat and enhancing forest health,” he says. With so much territory to cover, atlases rely on volunteer coordinators to generate local interest and drive participation. The second Virginia Bird Breeding Atlas is no different. 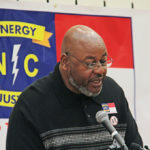 In the sparsely populated southwestern portions of the state, Peele says she gets a boost from Steven Hopp’s participation. Married to author Barbara Kingsolver, Hopp co-wrote 2008’s New York Times best-seller, Animal, Vegetable, Miracle. Peele jokes he is the project’s resident rock star. Despite earning a doctorate in experimental psychology, Hopp has been passionately interested in avian biology since graduate school. As an associate professor at Emory & Henry College, he had “a strong interest in the new-world family of birds called vireos,” and spent a decade studying white-eyed vireos. Like most bird atlas volunteers, Hopp is busy. 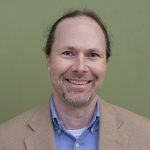 He works as a part-time adjunct professor of environmental science, owns a nationally acclaimed farm-to-table restaurant and farm, and sits on the board of the Blue Ridge Discovery Center. Still, he makes time to participate in the study. “It’s important work and I find it incredibly rewarding,” he says. Highlights include interacting with and getting to know other members of the birding community, as well as having an excuse to indulge a beloved passion. For Hopp, not much beats slipping into a forest pre-sunrise to listen to the songs of waking birds. Beyond education, outreach and securing land permissions, a coordinator’s primary duty is to ensure blocks get canvassed in order of highest priority. Up to three volunteer birders are assigned per block, with each requiring about 20 hours of field time to properly survey. 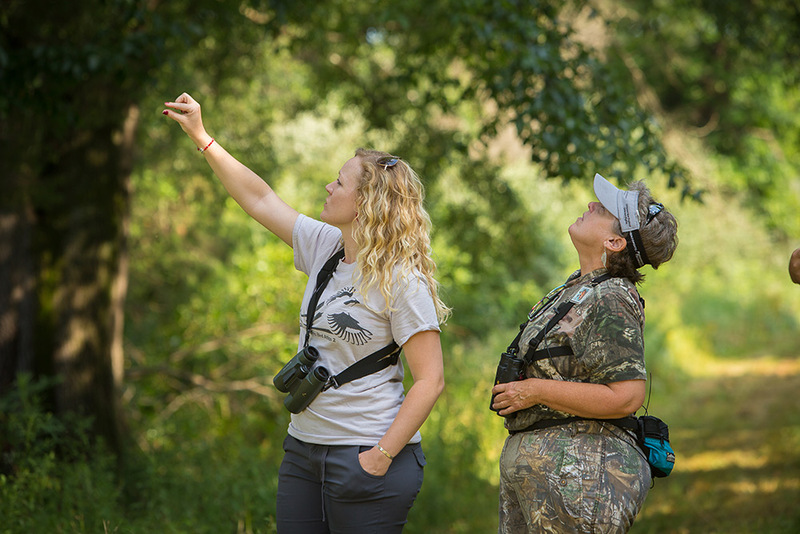 Combing the territory periodically throughout the breeding season, participants seek to record the number of species it contains and confirm breeding behaviors. 2017 was an exciting year for the second Virginia Bird Breeding Atlas. The number of volunteer participants grew from 450 to 750 and is expected to rise to nearly 1,000 by the close of 2018. Volunteer birding hours jumped by 30 percent, with all regions experiencing a surge in survey hours (Hopp increased his by a whopping 243 percent). 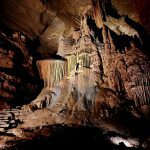 Interest among the Appalachian Trail thru-hiking community resulted in data being gathered in some of the state’s most isolated territories. And a few birders experienced the rare treat of observing state firsts. “Seven new species were added to our list of confirmed Virginia breeders this past year,” says Peele. Along the coast, participants spotted breeding Wilson’s plovers and a painted bunting pair. In York County, a kayaker located a nesting pair of anhinga. 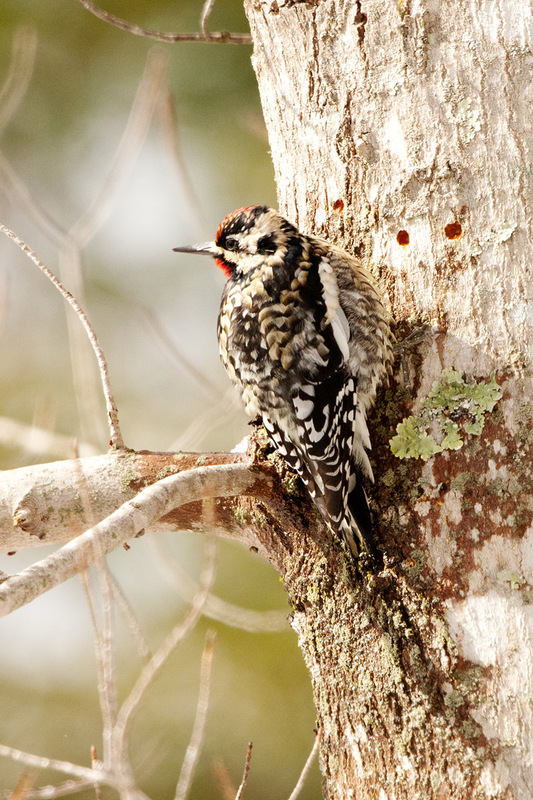 The first eastern whip-poor-will nest was discovered in Caroline County. Volunteers on a Virginia Society of Ornithology field trip in Montgomery County confirmed the first brown creeper nest. And in Highland County, swamp sparrows and mourning warblers were observed breeding in high elevation bog and forest habitats, respectively. “I always relish the task of diving into these records and seeing the discoveries [atlas birders] have made,” says Appalachian Mountains Joint Venture Coordinator Todd Fearer.